breech resolved! – Hi, I'm Caroline. Apparently our daughter is a champion procrastinator… we had a consult with a breech specialist last Monday, but when the doctor examined me, she’d already turned. At some point last weekend she must have flipped around. Hurrah! Thanks everyone for the advice and well-wishes. It looks like the home birth is still a go! 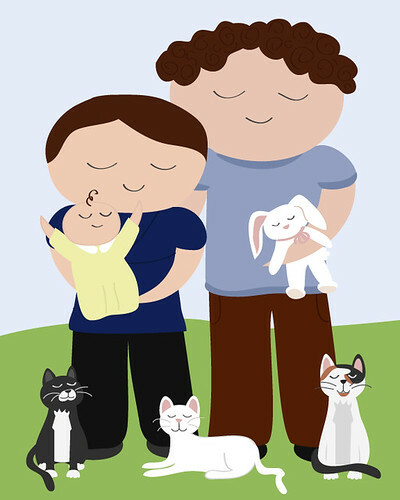 In the meantime, I doodled this little portrait of our soon-to-be family… aren’t we cute?